If you do business in the retail industry, then Title III of the ADA applies to you. This part of the Americans with Disabilities Act (ADA) bans discrimination against people with disabilities in places of “public accommodation.” These are defined as places of commerce that fall within 12 broad categories. “Service establishments” include hairdressing salons, gas stations and laundromats. “Places of exercise or recreation” include bowling alleys and fitness centres. “Sales or rental establishments” are places where goods are sold or rented, like department stores, bakeries and supermarkets. All of these types of businesses are covered under Title III of the ADA. Retailers should, for example, communicate information in an accessible manner. Back when the ADA was first written, providing accessible product information may have meant reading a brochure out loud to someone who is blind, or writing notes for someone who is deaf. Now it also means that online information, electronic communication and e-commerce must be accessible. For companies, improving web accessibility is a smart investment, because they’ll reach many more customers than they would have otherwise. Accessible web design is not a niche solution for a niche community. Rather, it makes a website or app work better for everyone, whether or not they have disabilities. An experiment at the University of Vienna involving 131 test subjects, of whom only 17% had disabilities, showed that the more accessible a website was, the more usable it was perceived to be by everyone2. Why not let your bottom line do the talking? Here are five ways that making your digital properties accessible can help you get more sales. 1. You’ll attract business from the disability market. Naturally, customers who have disabilities are the first group that comes to mind when you think about web accessibility. If they can use and interact with your website, they are more likely (and able!) to make a purchase online, or come into your store because they were enticed by what they saw on your site. But did you know just how vast this group is? Many people don’t realize that 19% of Americans have disabilities, and that their total spending power is more than four times higher than that of the tween market. You may not believe your web accessibility problems are turning away customers, since no one has ever complained to you directly. But nine out of 10 people who encounter barriers on your website won’t report them to you, according to the U.K.-based Click-Away Pound survey3. They’ll just “click away,” and go looking for another retailer that better meets their needs. 2. Your website will be more visually appealing. Barrier-free can be beautiful. A 2011 study at the University of Manchester showed that “visually clean” websites were both more accessible and more aesthetically pleasing. Clean, accessible websites also do a better job conveying messages. As North-Carolina based web designer Daniel Higginbotham writes, clean design “helps people find and consume the information within it with less conscious effort.4” Wouldn’t you expect this to translate into sales? 3. You’ll make sales in a wider variety of settings and environments. Customers are increasingly using mobile devices to browse and shop, in addition to desktop and laptop computers. If your website incorporates accessible features, it’s more usable in more mobile settings. Thus customers won’t give up browsing on your site just because they’re being jostled on a bus and having difficulty tapping the right targets without making an error, or they’re at the beach and the sunlight is too bright to see the poor contrast of your web page, or they’re at a noisy recreation centre and can’t hear the narration in a product-demo video. 4. You’ll retain customers who develop a new disability or temporary restriction. If your website is accessible, you’ll be able to keep any customers who develop a disability – which, incidentally, will happen to the majority of them, at some point during their lifetime – or those who have a temporary problem, such as an injury. These customers won’t leave you just because their sprained finger makes it too painful to use a mouse, or they can no longer see the tiny print on your site. The odds of disability increase with age, and baby boomers are a market you won’t want to lose. According to a 2017 KPMG report on online consumers, baby boomers spend more money, each time they make a purchase, than either millennials or generation X consumers5. 5. You’ll build brand loyalty and enhance your reputation. The 2017 AFLAC CSR Survey showed found a similar result – more than half of consumers, it says, would spend more and drive farther if it meant shopping with a socially responsible store. This survey also found that 65% of consumers would be unwilling to forgive a company that treated a customer badly7. 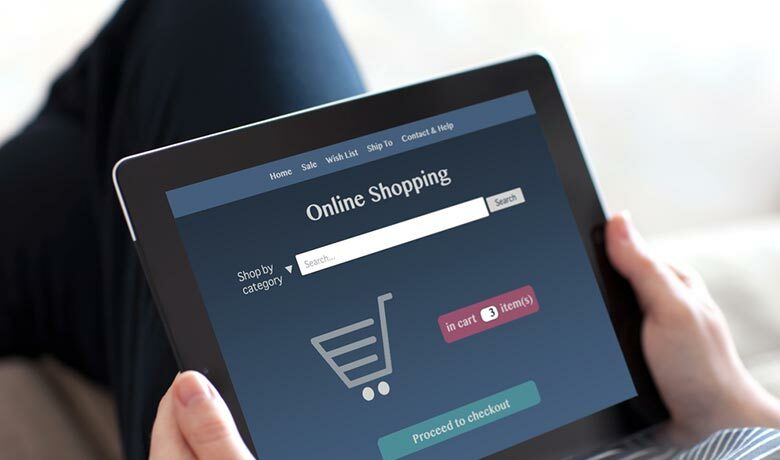 Retailers that want to comply with the ADA, improve web accessibility and be inclusive of shoppers with disabilities can go one step further to make their sales. They can draw attention to disability-specific products or services they may offer. Why not highlight those goods or conveniences that may be particularly appealing to customers who have disabilities? If you’re a grocery retailer, emphasize your all-day delivery service. If you carry an easy-grip line of tools, point them out! Customers with disabilities will know that their business matters to you. And at the end of the business day, your profit margin will speak for itself.